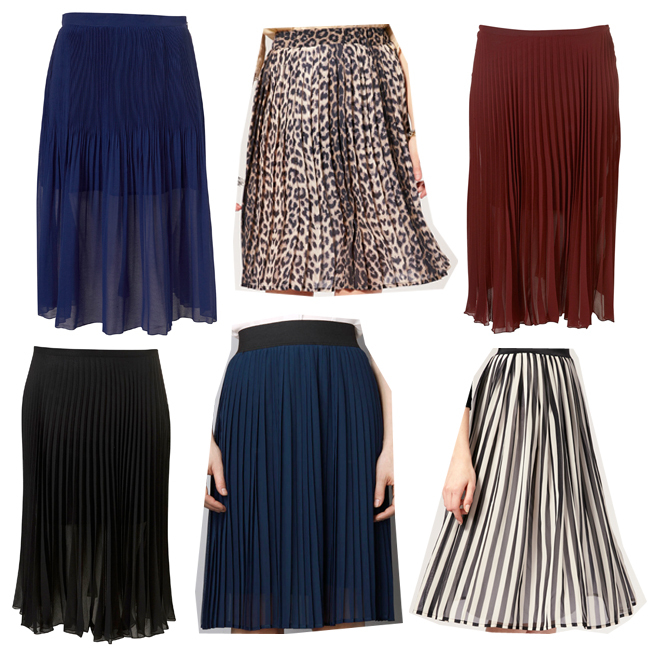 Fashionistas, hello :) My latest obsession has been pretty pleats aka ACCORDION SKIRTS! The trend became red hot back in Spring of 2011 popping up everywhere and on everyone. The trend has continued on through the fall and winter season. As we come upon the spring season, the sophisticated and super chic skirts are still working the trend scene. The colors, the hemlines, and the various ways of mixing and matching make the skirt such an accessible look and easy to pair with just about everything and anything. What's great about the skirt is that any body type/style/person can wear the skirt. The shape is simple and not overbearing. What I love is that the skirt is very modest. These days, I see that 'less is more'. You don't have to show a lot of skin to be noticed or fashionable. I'm noticing that trends are such that long skirts, draped clothing, layering, full sleeves, and basically the more cloth used in your outfit and less skin showing, are making major fashion headlines. I love this fact! The pleats on the accordion skirt create a neat classic look that is just so charming and elegant. I personally feel that it looks great on everyone! Short, long, mid-calf, wear it anyway you want and it's still such a head-turner. The skirt can be worn in warm seasons as well as the colder fall and winter seasons with boots and such. Keep it casual, classy, or dressy by pairing it with a simple button-up top, a chunky knit sweater, wearing layers on top, a faux fur vest, and so much more. 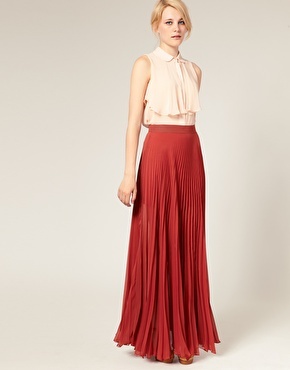 You can never go wrong with this skirt, it will always make you look effortlessly chic! Keep it as a backup for a cute date night, a night out with girlfriends, a dinner party, or as just a casual look for the day. My golden rule: "Always wear what you feel most comfortable in. That is when you are most fashionable." Keep it simple, if you love it, wear it. If you have doubts or aren't comfortable, than listen to your gut and don't push yourself to wear something that just isn't you. Great post!! I now want colorful ones now!! Here are some links for you! hope they help!